Commerce Minister also said that the cabinet has approved for a central monitoring framework consisting members of each ministry, department and agency and state government. PANAJI: With the central cabinet approving the Agricultural Export Policy Thursday, commerce minister Suresh Prabhu said all the restrictions on the export of organic and processed food would be lifted, paving way for the growth of the sector. The cabinet has also approved the proposal to establish a central monitoring framework with commerce ministry as the nodal department, having representation from other ministries, departments and agencies as well as concerned state governments to oversee the policy implementation. "As a part of an entire policy, the creation of cold chain infrastructure would be aggressively worked on with the complete involvement of state governments. Each of the state governments has decided to appoint a nodal officer who will work to create the infrastructure," the minister said addressing a conference on strengthening the micro, medium and small enterprise (MSME) ecosystem in food processing organised by Assocham, here. "At the same time, to make exports possible, the government will remove all restrictions on organic foods as well as processed foods," he said. For other agriculture products, depending on the situation, we will remove the restrictions," the minister told the gathering of businessmen and government officials. Prabhu said that the Agricultural Export Policy has been approved after consulting all the states and union territories. "This will be the policy that would be implemented across the states for which we have decided to create the framework," he said. Elaborating on the policy, Prabhu said, "The idea is that we create clusters for different products for agriculture, horticulture, meat, dairy and others depending upon the natural products produced in each state." The union government is also working on logistics, for which connectivity is an important factor. 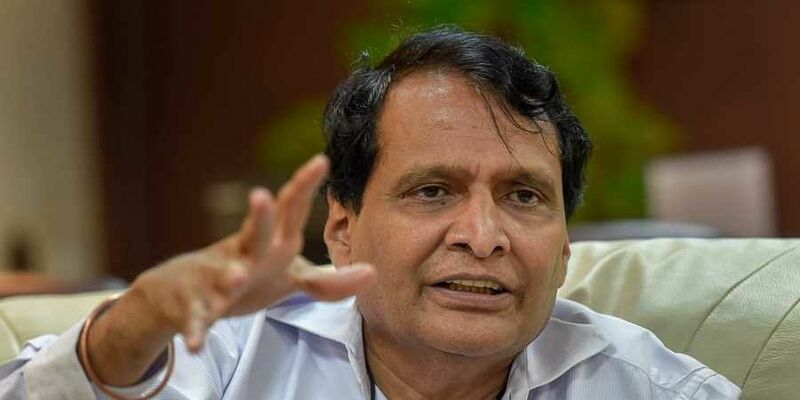 Prabhu said that proper connectivity will be provided so that the produce can be transported within the shortest possible time to avoid wastage. "In all, 30 per cent of the fruits that are produced in India are wasted, and India is the second largest producer of fruits and vegetables in the world," the minister said. adding that the government is looking to attract investments to develop the food processing industry. Food processing is extremely important and to make it happen in a big way, Abu Dhabi Investment Authority, the worlds largest sovereign wealth fund, has announced funding for India, he said. Tapping the marine export sector, Prabhu said that the union government will work with 13 coastal states including Goa to double the sector export from USD 30 billion to USD 60 billion. He said adding that the investments from countries like Japan and Korea in this sector is expected.